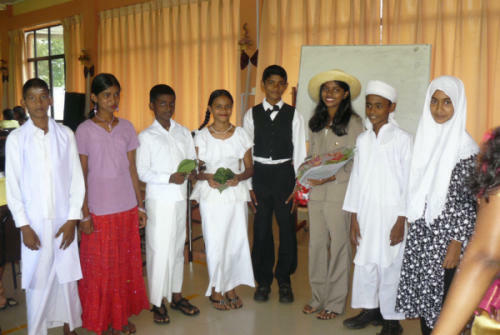 Children in Sri Lanka are the future and financial backup for their parents – as financial support from the government is rare. Professional education and qualification are requirements for a higher income, but those are affordable for wealthy families only – as they can cover the cost for a better school and additional tuitions. Children which live in poor conditions have very little chances to achieve this stage. Often they have to leave school earlier to support their parents with daily work. 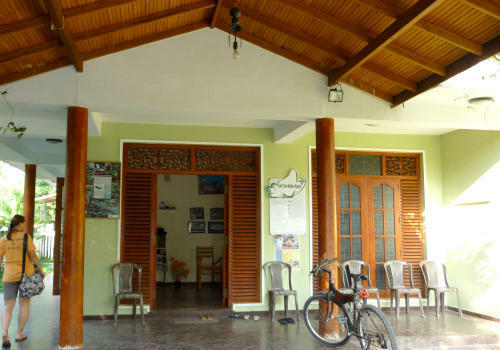 Therefore, an educational centre has been built to support those and Tsunami affected children on a long-term scale with high standard education for free or low budget. 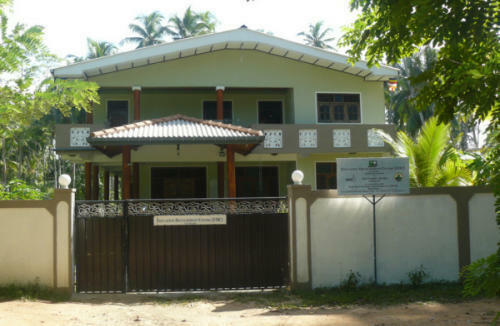 In 2006 the Education Development Centre (EDC) was built in Aluthgama, Sri Lanka from the NCS with the financial support of Gazprom Germania (ADIUVO e.V) – as long term support for children from Tsunami affected and poor families. The courses in the centre are additional to the normal school lectures – to provide a better education and knowledge for children for an improved chance of success in their future. With the environmental awareness program of the centre the children also learn about nature and wildlife and to care about them. In the first stage language and basic IT courses have been provided for the children - free of charge. Since 2010 the centre has been accredited by the Tertiary and Vocational Education Commission (TVEC) for National Vocational Qualification (NVQ) courses in IT (level 3) and Graphic Design (level 4). It gives the students the possibility to receive an international accepted certificate. The courses are arranged according to the age or grade. English courses are scheduled in the afternoons from grade 5 to 10 twice per week – grammar class with the local teacher and spoken class with an international volunteer. The IT classes are in the mornings for students which left school already, afternoons and Saturdays for school children. The EDC has five local teachers (English, IT and Graphic Design) and volunteers supporting the language classes. Throughout the year up to 120 students are participating in the language and about 80 students in the IT classes.